Women undergoing chemotherapy for breast cancer seem to require more sleep during treatments, a new study reports. However, the quality of their sleep stays the same during the procedures. Researchers said most women preparing to undergo chemotherapy already may be sleeping poorly. 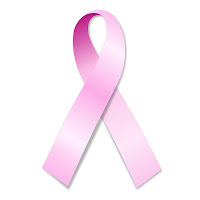 The authors of the study observed 97 women with newly diagnosed stage I-III breast cancer. Sleep and fatigue were measured seven different times during three weeks of cycle 1 and cycle 4 chemotherapy. The patients slept longer in the night and napped more by day during the cancer treatment. Researchers suggested additional sleep is needed to cope with fatigue and other side effects of chemotherapy. The women's quality of sleep did not change during chemo treatments. Researchers said it was likely that the women already experienced poor sleep before their diagnosis, and that the cancer could be causing sleep disturbances. The study appeared in the February edition of the journal SLEEP. Read more about insomnia due to medical condition and about sleep disorders in women. More blogs about sleep issues particular to women also are available.